It’s sometimes hard to know what camping gear you will need and what gear you won’t. The camping caught is one of those pieces that can really save the day in many situations. They are relatively inexpensive, they come in a variety of sizes and colors, and can easily be ordered online. Elevation – these cards are good for keeping things off the floor. That includes adults, children, camping gear, food, and just about anything else that needs to be kept up high. 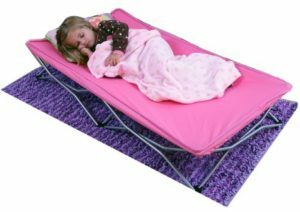 There sturdy enough for a full size adult to sleep comfortably and you can rest easy knowing your children won’t accidentally get stepped on in the night. You can pull them out in front of the campfire and let the little ones curl up with the blanket as they drift off to sleep and then carry them off to bed later. Portability – camping cots tend to be lightweight and fold up easily into a small footprint. You can keep them in the trunk of your car and bring them to ball games, kids events, overnight with grandparents, and camping of course. Ease of Assembly – most camping cots simply unfold and step into place. They typically can be set up and ready within a matter of minutes. Shop around and read reviews to determine which features previous buyers like best. Home Use – you can pull the camping cot out when the kids have friends spend the night, or when the little one wants to sleep in your room but takes up the whole bed, or when everyone piles in the living room for movie night. Easy Storage – most camping cots fold up into a small square that is only a few inches deep. They can be slid between shelves in the basement, up in the attic, tucked under the bed, or left in storage in your car. They don’t take up much space so they are convenient to carry with you. Camping is about having fun with friends and family and sometimes you don’t have enough sleeping space for everyone. Bringing a camping cot or two can help alleviate that problem. If you’re starting out with cheap steaks or tough cuts of meat, no amount of grilling is going to save them. Stick with tender cuts such as ribeyes or strip steaks, preferably with some marbling. Marbling shows fat, which can be a source of flavor. With these tips, grilling a fantastic steak is both possible and probable. 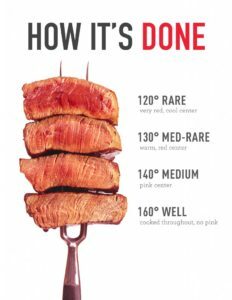 Discuss your steaks with friends and check out what the experts think so you can learn even more. Work on your steak grilling skills often so that you can impress others at your next party.